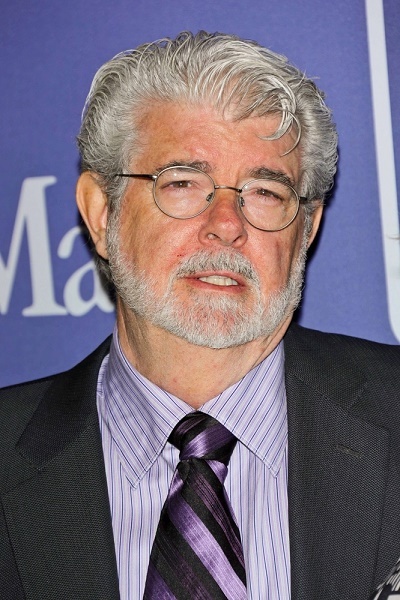 George Lucas is an American filmmaker, director, screenwriter, producer, and businessperson. He created the Star Wars and Indiana Jones franchises. He is the son of Dorothy Ellinore (Bomberger) and George Walton Lucas. He is married to businessperson Mellody Hobson. He has four children, including a daughter with his former wife, film editor Marcia Lou Griffin, and a daughter with Mellody. Mellody is African-American. George’s paternal grandfather was Walton Hood Lucas (the son of William Fleming Lucas and Margaret E. Taylor). Walton was born in Arkansas. William was the son of Hamilton S./L. Lucas and Harriet M./Arnetta McCurdy. Margaret was the daughter of John Taylor and Martha Harbin. George’s paternal grandmother was Maude/Maud Esther Leedy (the daughter of Henry Clay Leedy and Phoebe Caroline Boston/Bostwich). Maude was born in Illinois. Henry was the son of Samuel Keith Leedy and Margaret Whitnack/Whitnah. Henry’s brother, George’s great-great-uncle John W. Leedy, was a politician, who, as a member of the Populist Party, was Governor of Kansas, from January 11, 1897 to January 9, 1899. George’s great-grandmother Phoebe was the daughter of Andrew Jackson Boston and Elizabeth Ann Davis. George’s maternal grandfather was Paul Spayd Bomberger (the son of John Stauffer Bomberger and Alice Johanna/Joanna Spayd). Paul was born in Pennsylvania, and was of German and Swiss-German descent. John was the son of Samuel F. Bomberger and Marthene “Mattie” Stauffer. Alice was the daughter of Daniel Kline Spayd and Maria Endress Bomberger. George’s maternal grandmother was Dorothy A. Pieper (the daughter of The Rev. William Henry Pieper and Margaret Elenore Scherer/Sherer). Dorothy was born in Iowa. The Rev. William was born in North Rhine-Westphalia, Germany, or in Iowa, to German parents. Margaret was the daughter of German parents, Jacob George Scherer, from Bodenbach, Rhineland-Palatinate, and Margaretha Adehide Timpe, from Bremen. He looks like Eric Clapton.